A canapé is a type of hors d'oeuvre which technical composition consists of a base (a small piece of toasted bread, puff pastry or cracker), a spread, a main item and a garnish. I attempted to make sweet canapés for the kids one weekend and it was well-received. 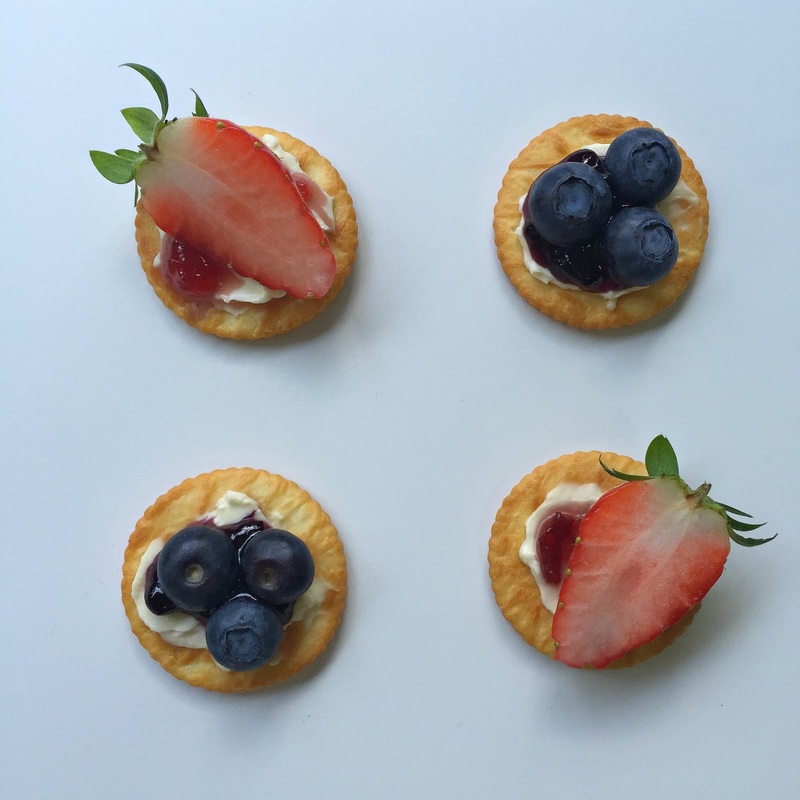 Since they love blueberries and strawberries, I made berry canapés. All I did was spread some cream cheese on top of the cracker, added a little bit of jam, and topped it with strawberry/blueberry. End result? Yum in the tum! 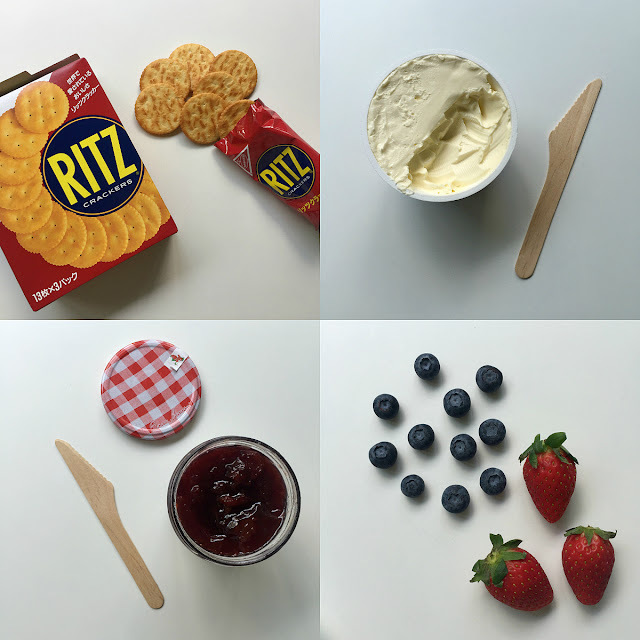 A delicious, drool-worthy finger food/snack you can whip in 5 minutes or even less! Your kids or any member of your family who loves sweet food will thank and love you for it. Try making one yourself and let me know how you like it. Feel free to tweak the recipe according to your liking. 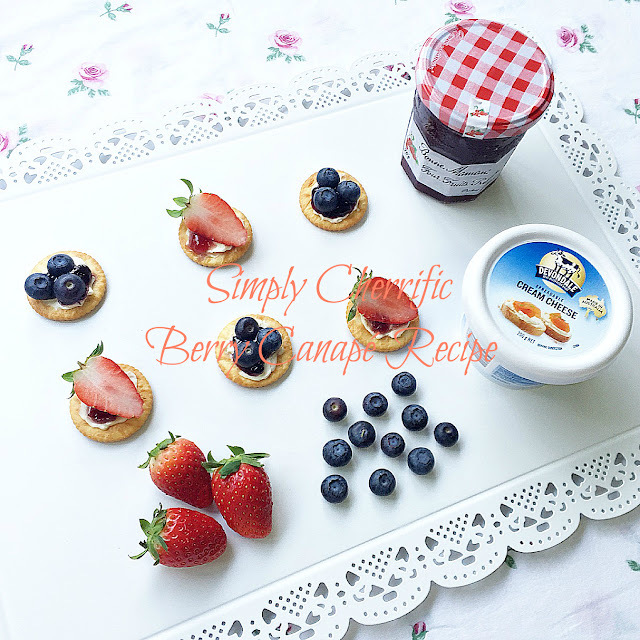 You may choose garnishing of your choice to make your canapé taste as good as it looks!